The Shortest Story on the BBC Archives? I was browsing through some of the many stories in the archives and it set me wondering which had been the shortest/longest articles posted. My award for the shortest goes to the following article that was posted back in October 2004. I see that I added a comment at the time. 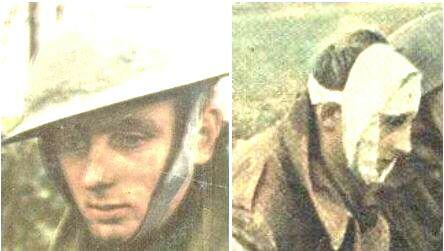 They took off from RAF Waterbeach at 2258 Hrs but crashed in the sea. Sgt Sadler, who was washed ashore on 21 June 1944, and Sgt Teteley are buried in Sage War Cemetery, near Oldenburg; the rest of the crew are commemorated on the Runnymede Memorial. "DS 682 was supposed to return to Waterbeach at 03.00 on Sunday the 23rd of April. At 02.56, an SOS message was received from the aircraft. Their position was over the sea, approximately 70 miles west off the Dutch coast. Nothing more was heard from the aircraft. According to the acting Squadron Leader at the time, Barney Reid, at first light an Air Sea Rescue aircraft was despatched to look for the crew. Barney Reid personally took part in this. However, despite good visibility, nothing was found." They were part of one of the great pre-invasion raids on targets on the hinterland of the invasion coast, stretching back into the Reich. On the night of 22/23 April 1944 596 aircraft -323 Lancasters, 254 Halifaxs, and 19 Mosquitos, of all except 5 Group, took off for Düsseldorf. The losses however were high, 29 aircraft (16 Halifaxes and 13 Lancasters) amounting to 4.9% of the force, mainly caused by night-fighters which penetrated the bomber stream wreaking havoc. This story has demonstrated how unreliable records can be. In Avro Lancaster - The Definitive Record, 2nd edition, by Harry Holmes, Lancaster II DS682 is recorded as being with 115 Squadron, and that it landed at Ford after being hit by a Ju88 during the night of 5/6 September 1943. Philip Moyes, in Bomber Squadrons of the R.A.F. and their Aircraft also lists DS682, coded KO, with 115 Squadron. But although 115 Squadron did take part in the great Düsseldorf raid, they were based in RAF Witchford, not RAF Waterbeach. The only Lancaster lost by 115 Squadron that night was Lancaster III ND753 KO-K, piloted by P/O R.E. Chantler. These books contain an imense amount of data and errors are to be expected in such long detailed lists. 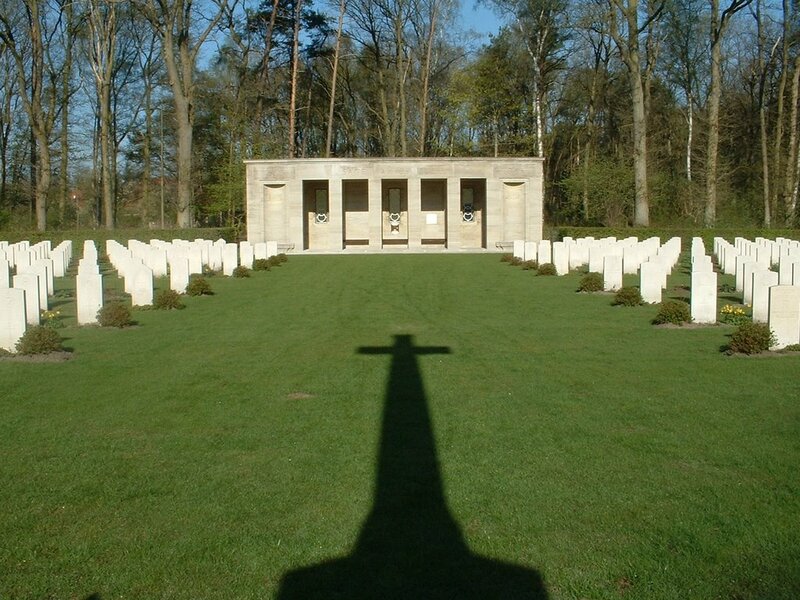 The sollution is to cross-check everything, and in this particular case even the Commonwealth War Graves Commission record for Sgt Sadler is wrong, giving his date of death as 23 July 1944, but with correct squadron, whilst for the rest of the crew they give the correct date of 23 April 1944. 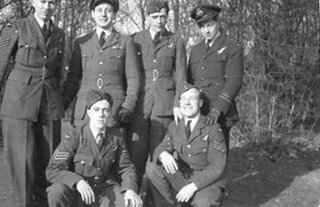 The crew photograph is from a website dedicated to the memory of Ernest 'Sunny' Gledhill and the Men He Flew With in the Photo Gallery here. 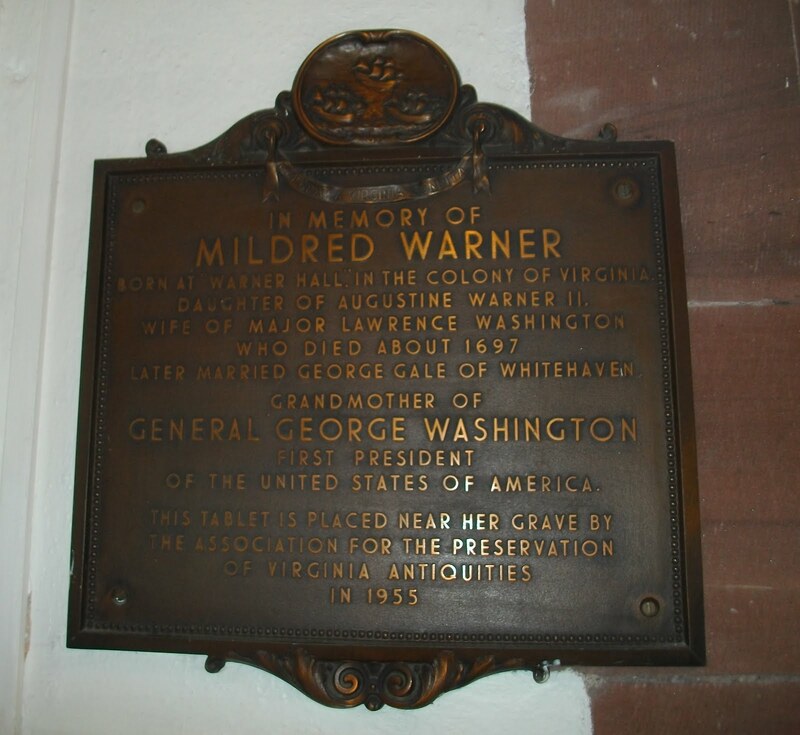 Sage War Cemetery - Click to enlarge. 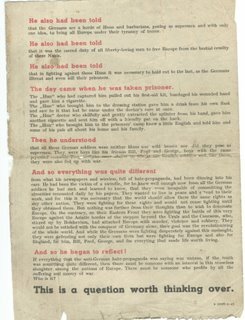 So who was Sgt Henry Sadler? Tom Canning will explain. In April 1943 both Tom Canning and myself were (completely un-beknown to each other) on the same boat bound for Algiers. The internet being what it is, it should have been no surprise to me that there were plenty of photographs available, but I was still surprised to see this lovely ship serving its original purpose as a pre-war cruise liner. 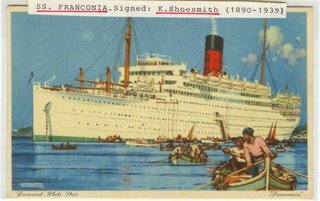 Both Tom and I have written about the voyage out from Greenock, , it was not the most pleasant of trips and I don't remember dining at the Captain's table. 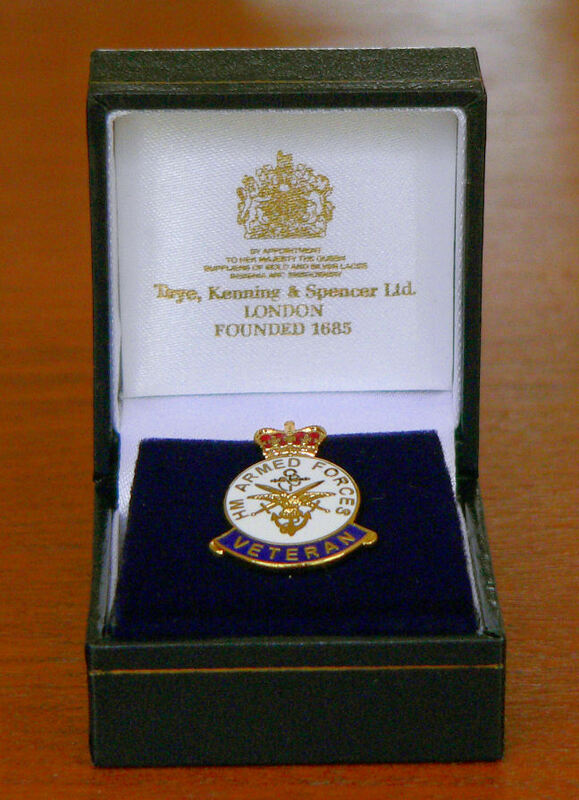 Did you serve in HM Armed Forces up to and including 31st December 1954? 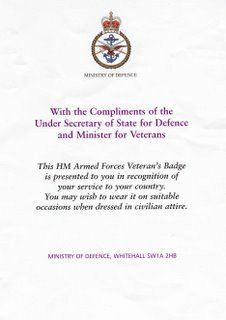 Does anybody have any information about the 'National Veterans' Day' that I seem to remember it was announced would take place throughout Britain each June? 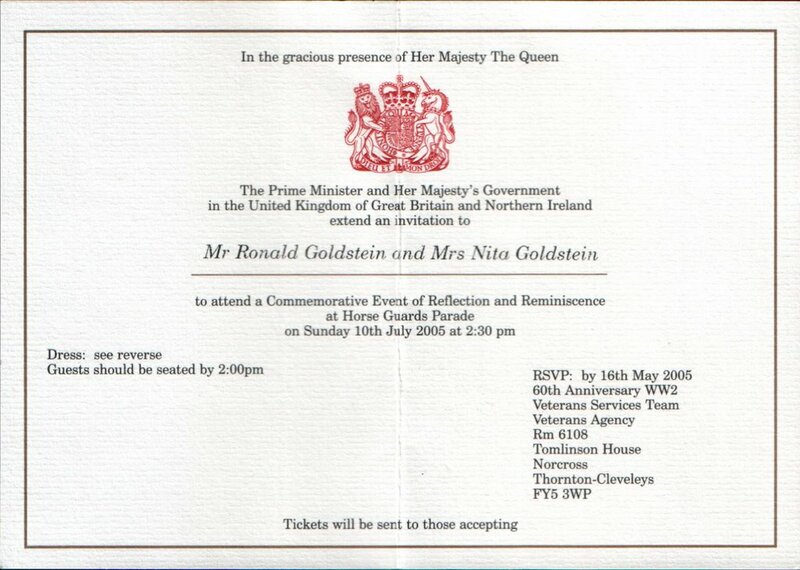 If my memory serves me right, Gordon Brown (Chancellor of the Exchequer) made the announcement. There was also an indication any 'Veterans', (initially from the WW2 years) would be awarded a medal at various ceremonies throughout Britain on this 'National Veterans Day'. A number of the veterans, or their relatives, whose stories I wrote down for the "People's War" project have asked me about this proposed National Veterans Day. 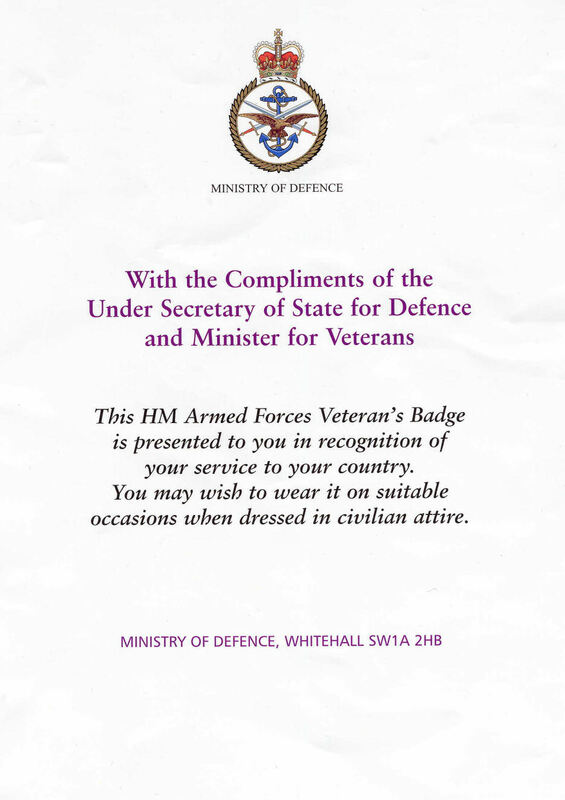 There seems to have been little definite information about what is supposed to happen, or indeed how a 'veteran' applies for this new medal if they qualify for it. 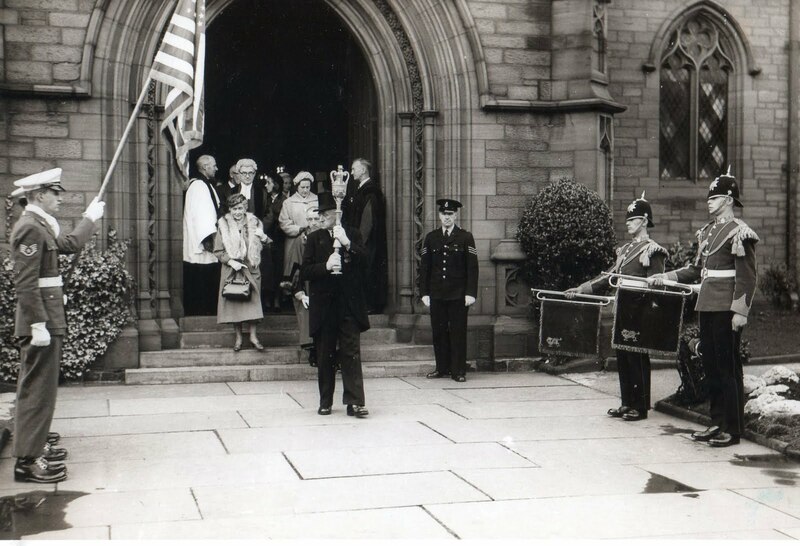 The local Veterans Associations and British Legion do not have any information yet, so far as I know. So, can anyone assist please? 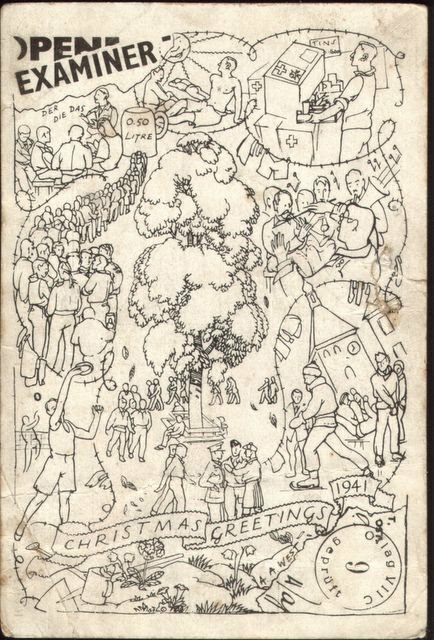 This is the front of a second postcard sent by Driver Moreton Wilson RASC (Service No T/60834) to his wife and four children back home in Workington West Cumberland (now Cumbria) for Christmastime 1941. Moreton's Prisoner of War number was 668. 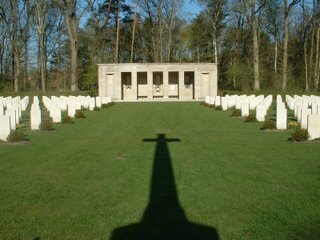 According to recent information kindly supplied to the family by the International Committee of the Red Cross in Geneva, Switzerland, Moreton was taken prisoner during the Battle of Amiens on 20 May 1940 at either Doullens or Albert. Moreton was known to his friends as 'Joe'. Sadly, Moreton died in a German hospital in May 1943. He is buried in the CWGC Cemetery at Krakow Rakowicki in Poland. 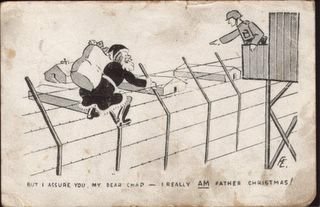 "But I assure you, my dear chap - I really AM Father Christmas!" 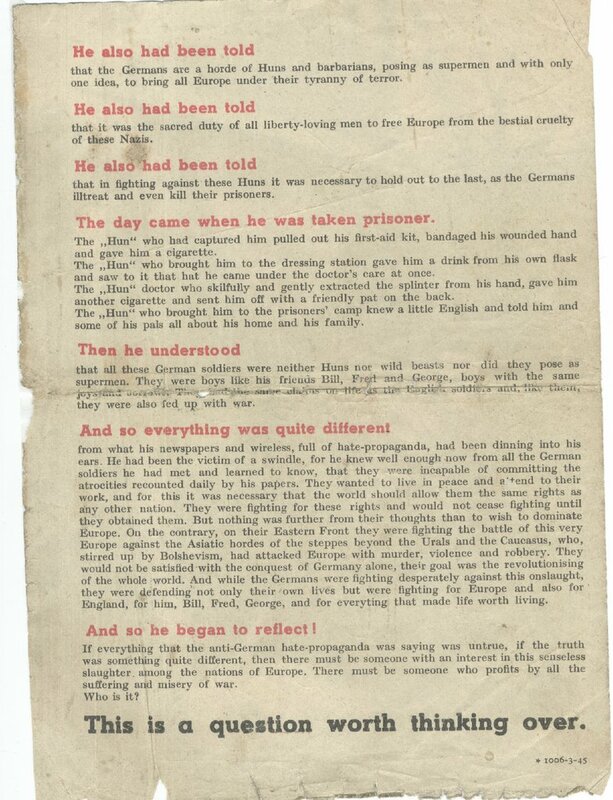 With reference to the Propaganda Leaflet to be seen on Page 59 of my Album, I now show the 'other side'of the leaflet, that is the text that was designed to encourage us to allow ourselves to be taken prisoner. I have put together a flash demo, go to the FAQ, go to the relevant question, then click on the green Play Demo button. Sit back with a coffee and watch. Then get cracking! 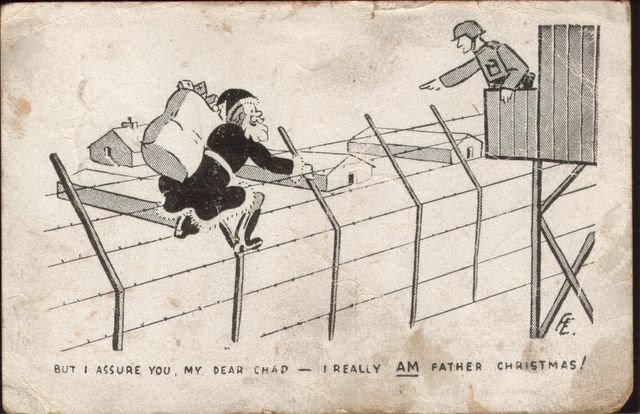 Dodgy German propaganda leaflet ? Don't miss looking at Ron's Actual Army Album. Above is a cartoon from page 90 (yes, page 90). Just one of the many gems in this album. The cartoon is full of in-jokes. 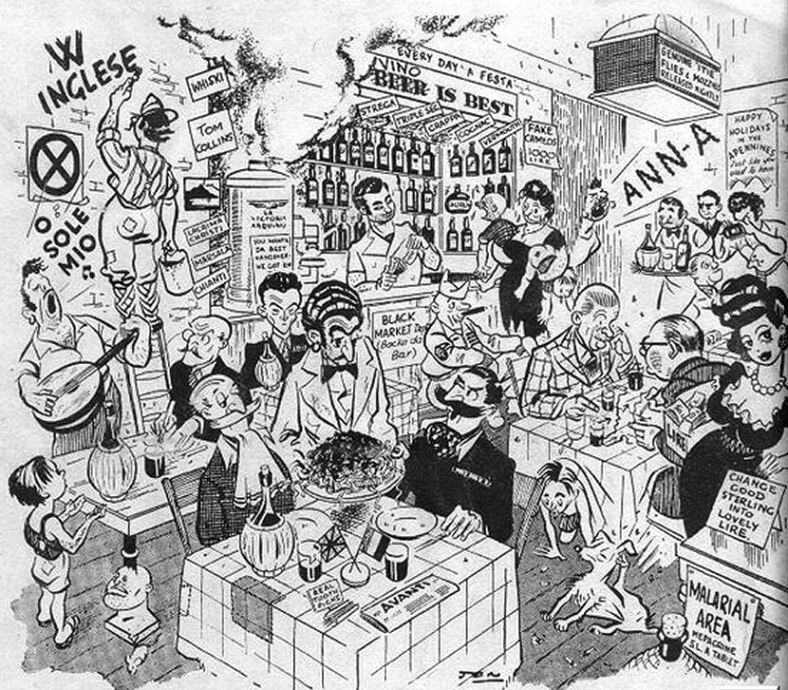 Those who fought in Africa and Italy will immediately recognise the Two Types, the mustachioed duo; on their table is a copy of Avanti, the Italian Socialist Party's newspaper, banned during the fascist era. Then we have Ernest Bevin, the British Foreign Secretary, seated at a table with the American Secretary of State, James F. Byrnes, arguing over a map of Italy, which Bevin has drawn on the tablecloth (with an arrow pointing to Salerno). Propping up a table is a bust of Mussolini. There is also a reference to mepacrine anti-malarial tablets and don't miss the travel advert "Happy Holidays in the Apennines - Just Like You Used To Have"
There are some interesting pages here giving a full history of the project. Just an afterthought, wouldn't 'the wartime generation' have ranged between the ages of a few days and six years old in 1945? The majority of those who fought were of the 1920s' and earlier generations. Although the contents of the Research Desks were not included in the final BBC People's War Archive they can still be accessed here. Just scroll down past the The WW2 People's War site is now closed for contributions warning, and there they all are. They make fascinating reading now that the dust has settled. 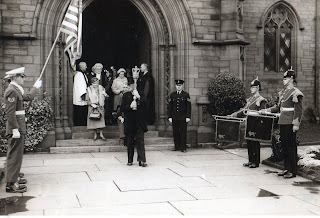 On the steps of St Nicholas' Church, Whitehaven. In the world of Opera there is a term which covers a strange happening in the singing of an aria when it appears that the quality is enhanced through some medium which is unaccounted for in the practice of singing - particularly, this is called a "moment" - a moment which cannot be accounted for in rational terms. When we think of the great Pavarotti singing the "anthem for the Soccer World Cup - "Nessum Dorma" in his homeland of Italy;the scenes of Joan Sutherland in 'Lucia di Lammermoor' - the soprano voice of Elisabeth Schwartzkopf in the Beethoven "Ode to Joy" at Beyrueth in 1951 -and the unforgettable 'Casta Diva' of Monserrat Caballe in Bellini's 'Norma' - or Beverley Sills as Anne Boleyn as she sang her farewell to life the evening before her execution in Donizetti's 'Anna Bolena'. We have all probably had 'moments' in our lives but possibly one of the strangest I ever had was when we were waiting to move upto Montecassino for the push into the Liri valley after the fourth battle had just ended in the middle of May 1944. We were between Presenzaro and Cassino and the noise was indescribable in it's ferocity as every gun on both sides seemed to be firing in quick succession one after the other - it was an nightmarish cacophany. I was standing in front of my Tank in the early evening watching the firefly's weaving their patterns around the mosquitoes, when suddenly an awesome silence descended and not one gun was firing. The silence on a Battlefield is something strange in itself as not even a cricket would chirp when - suddenly a sound impressed itself upon me..... and the moment revealed itself as the Song of the Nightingale ! I wonder if anyone else had that wonderful experience ? The Web never ceases to amaze me. Delving deeper from an interesting link sent to me by Tom, I discovered that the entire 50 volume New Zealand official history of WW2 was on the Internet. Needless to say, this is a vast source covering all aspects of WW2. Too good not to link to. 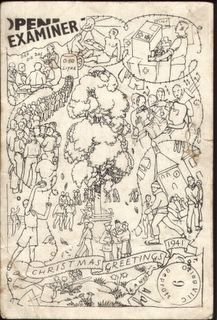 I invite comments regarding your own experiences in using the SEARCH facilities on the new BBC WW2 archives. Speaking for myself, I find the present situation is lamentable. I give a simple example. Imagine if you will, that you are on the 'new' site and wish to find articles written by Frank. You key into the SEARCH THE ARCHIVES box the keywords 'Frank Mee', enclosed you will note, by apostrophes. You get the following results. Your page of search results for "'Frank Mee'+ww2"
FRANK MEE Frank Mee was just 10 years old when war was declared. 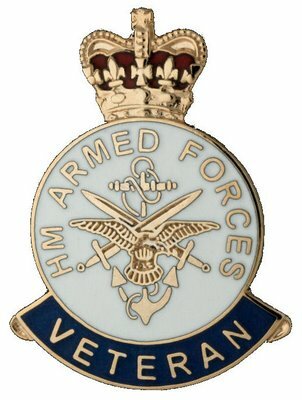 My only real buddy so far had been a chap called Harry Mee, who stood next to me, in the rear rank, when we were on parade in Bulford basic training camp. Old Army Songs - Those were the days! but we'ed rather love Farida than Farouk - Baa din ! If you find anything that's not working, please send me the link and tell me what error you're experiencing. I have already added the link to our list of links on the right. I've only had a quick look at the Archive, but it looks great. Let me know if you are having any difficulties, then we can consolidate them all and forward them to Debré. Postscript to "Day Leave in Rome"
Day Leave in Rome and I beg your indulgence while I add a ‘postscript’ to that tale. 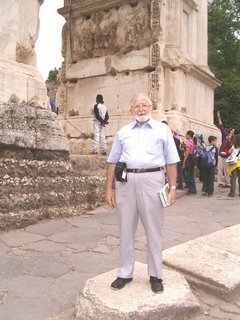 In the story, I mention visiting the Forum and I certainly remember being fascinated by the Arch of Titus with its unique frieze portraying Roman soldiers carrying the loot that they took from the Temple in Jerusalem. In May 2005, I took advantage of the “Hero’s Return’ scheme to re-visit Rome and Monte Cassino and Nita took the above snap of me back at the Forum. 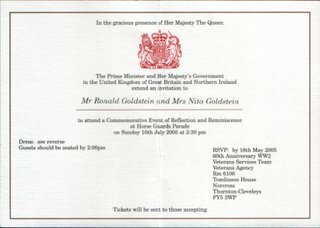 Since then I have carried out some further research concerning the Arch and learned that because it was a such terrible reminder of the destruction of the Temple and the massacre of the Jewish population it had been a Jewish custom since the Roman times that no Jew should walk under the Arch. I was delighted to learn that this convention was broken for the first time in 1948 (when the State of Israel was first created) because the Jews of Rome actually paraded under the Arch to demonstrate their solidarity with the newly found State.